A recent study found that on average, designing a form to have a great user experience almost doubled the rate of successful first-time completions. For example, Ebay made an additional $USD 500 million annually from redesigning just the button on one of their mobile form screens. More conversions, fewer dissatisfied users, better return on investment. Can you afford not to improve your forms' user experiences? 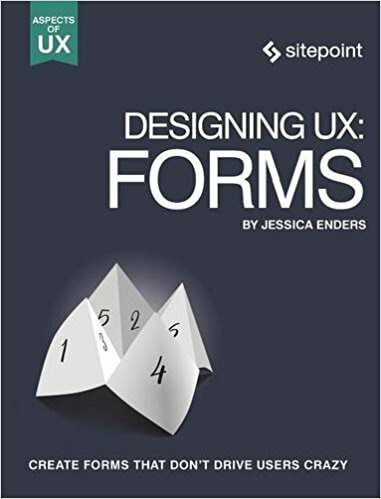 This book will walk you through every part of designing a great forms user experience. From the words, to how the form looks, and on to interactivity, you'll learn how to design a web form that works beautifully on mobiles, laptops and desktops. Filled with practical and engaging insights, and plenty of real-world examples, both good and bad. Where should field labels go?What makes a question easy to understand?How do you design forms to work on small screens?How does touch impact on form design?How long can a form be?What look and feel should the form have: skeumorphic, flat, or something else?What's best practice for error messaging?